To celebrate the launch of another delicious Heinz product we were sent a Tea for Grown Upz package to enjoy ...and enjoy we did! The package included a delicious variety of items from Tesco and a mini hamper with a tin of Alphabetti Spaghetti (for the Mini Mes) and a tin of FIVE Beanz for the Mr and I. I shuffled around the meal planner a little as I was keen to give them a go! 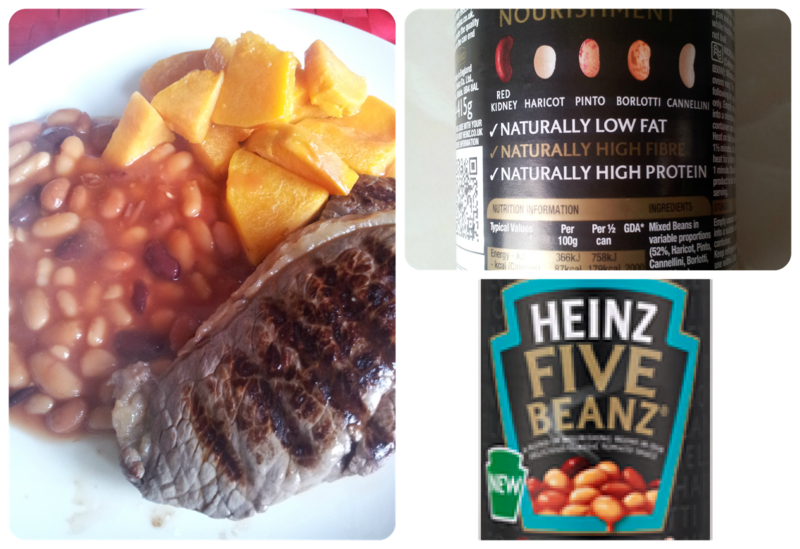 Heinz FIVE Beanz contains Haricot, Pinto, Cannellini, Borlotti and Red Kidney beans. Combined with the smooth tomato sauce within every tin, each portion is one of your five a day. Therefore they are not only tasty but nutritious too. They are naturally low in fat, high in fibre and as there are no artificial flavours, colours or preservatives they are ideal for both the grown ups and little people too - even those that are weight conscious! Heinz held a Tea Time for Grown-Upz event in London on 6th September to celebrate the release of FIVE Beanz. What would you eat yours with? You can pick up your own 415g can of Heinz FIVE Beanz with a RRP of 84p from selected stores. I am rather excited by this! I love beans, I know it's really random to get excited about a tin of 5 beans but for cooking it is actually rather useful like you have mentioned!Nom nom nom! We tried these but weren't too keen! We prefer the original or with sausages! I tried this again and liked them better second time round! Still prefer the original though with sausages! Be nice to try baked beans with a variety of beans.